Cranberry is one of the most widely studied, time-tested, natural remedies for supporting urinary tract health. Unlike many commercially available cranberry products, which are made from juice or contain individual isolated, health-promoting phytochemicals, the cranberry extract in UT Intensive is made from the whole fruit, juice, skins, flesh, and seeds, and therefore contains the full complement of phytochemicals, organic acids, fatty acids and phenolics. 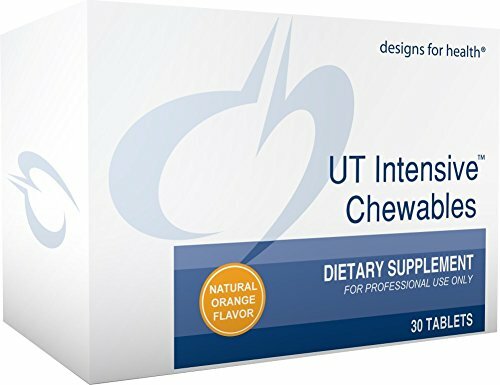 Comes in great-tasting, chewable, orange flavored tablets.